Geotranslations delivers document translation and proofreading services to companies, organizations, institutions and professionals involved in the fields of Geoscience, Environment, Health & Safety, Renewable Energy, Carbon Markets and Greenhouse Gas (GHG) Reduction Projects and Climate Change.We translate and proofread a wide variety of materials of varying nature and purpose within the particular operational dynamics of each business, institution and organization, from operational documentation used day-to-day to documents linked to the medium and longer term such as final reports associated with large-scale projects. Consolidated expertise in industry-specific technical and generic translations. Rock-solid familiarity with the industries we work in. Quality and reliable delivery of projects. Process simplicity and streamlined service. We specialize in the translation of a wide range of materials, both generic and specific to the six industries and sectors within our scope, from internal operational documents to consulting reports, or from newsletters and internal procedures to training materials and business presentations. Whether ad-hoc or recurrent translation needs, our extensive knowledge and experience in these fields gives us that edge to naturally visualize and understand the message, content and context of the original text and its corresponding output, guaranteeing an accurate application of subject matter terminology and language. GeoTranslations is based in Spain and is managed by Omar Tarzi. GeoTranslations founder, director and... translator! Whenever you require accurate preservation of the appropiate context, language and terminology for your particular industry or activity related documents, GeoTranslations is there to assist you. Through our specialized services, GeoTranslations effectively helps companies, institutions and individual professionals deal with their industry or sector-specific document translation needs, improving communication across borders and global locations and safeguarding operational continuity of business activities. Based on our experience we can ensure our customers that their needs will be addressed fully and consistently, no matter the type and extent of the project at hand. Technical expertise, industry or sector experience and a sound knowledge of the subject matter are essential elements to deliver a quality product to our customers. Over 10 years of translation experience. A sound knowledge and familiarity with the industries we work in. Our internal quality assurance, continuous improvement and review processes. A dedicated team committed to achieving excellence in everything we do. Our clients can rest assured that the quality of the work that GeoTranslations consistently delivers will set the foundation for a powerful, sustained collaboration. 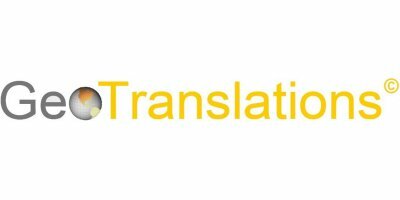 Centering our work around our customers' expectations is what GeoTranslations is all about, and it is the third cornerstone that makes up the foundations of our firm. Flawless and transparent project information exchange with our clients. Permanent communication via e-mail and phone as required. Secure, on-line 24/7 client access to on-going project information and documentation. Dedicated follow-up and reviews as required to ensure satisfactory output. GeoTranslations wants to grow with its customers, and the best way to do so is by putting them at the center of everything we do.